In the not so distant past, coffee has been put through the ringer. It’s been called every bad name in the book. Many so-called “health experts” have even gone as far as to label coffee as a highly addictive drug that is equivalent to a number of illegal narcotics. But now, the “coffee” tables have turned because more and more research is being published supporting the vast protective benefits that coffee has to offer. The truth is that coffee is a nutrient, not a drug like many would have you believe. To be completely honest, I was never a fan of coffee. I couldn’t stand the taste of it. But when I started to learn the science behind coffee and how it can be used to correct hypothyroidism and restore healthy metabolism, my taste buds quickly changed. Now, thanks to more recent research, it’s becoming easier to understand the connections between coffee and how it can help heal your thyroid and protect you from a number of thyroid related health problems. 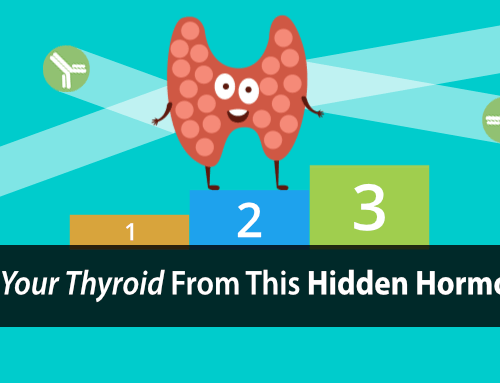 In simplistic terms, your thyroid controls your cells’ ability to produce energy. You develop disease and eventually die. When it comes to coffee and the health of your thyroid, it doesn’t get any more obvious than this. Coffee has been shown to have a direct effect on the health of your thyroid gland. 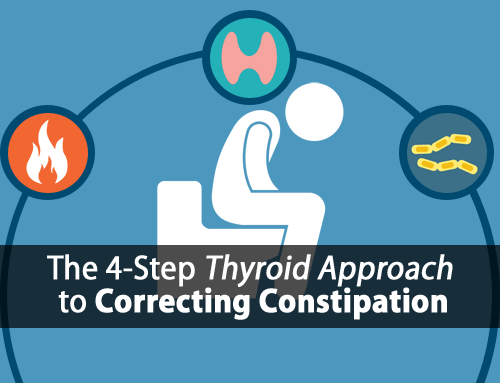 It is well known that various thyroid diseases including Hashimoto’s Thyroiditis and thyroid cancer are common causes of hypothyroidism today. Using coffee properly to help prevent these diseases is a big step in the right direction. Many people don’t know this, but there is a link between hypothyroidism and breast cancer. 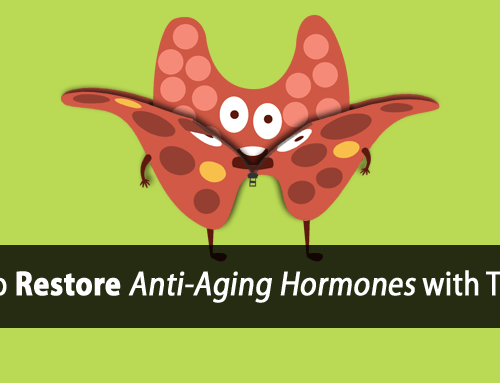 This is because of the role that estrogen plays in suppressing the thyroid gland, disrupting healthy metabolism, and promoting cancer metabolism and growth. The health of your liver is very well understood when it comes to proper thyroid function. 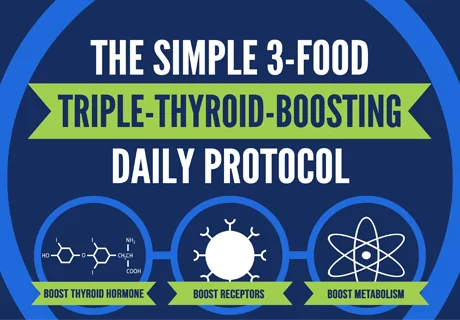 Your liver plays a major role in regulating your thyroid and converting your inactive T4 thyroid hormone to the active T3 thyroid hormone that your cells need to thrive. Liver dysfunction is a major cause of hypothyroidism today that deserves a lot more attention than it currently gets. When it comes to your thyroid, the health benefits of coffee go much further than what I’ve described above. This is really just scratching the surface of the health benefits associated with coffee. I am sure all is well.. and diet related etc. results after a few months of diet change will indicate the truth more or less !! I was a coffee drinker for most of my life, then I switched to tea because “caffine” was bad for me (?) after that I had several mini strokes which caused Parkinsons disease and my thyroid became underactive. So if all the abouve is true I should have stayed with the coffee. You have to keep in mind that coffee is just “1” nutrient or “tool” that can be beneficial but coffee alone is not the answer to all thyroid issues, Parkinson’s, etc… That would be like trying to build the space shuttle with just a screwdriver. It might help but you’re not going to finish the job. Human physiology is quite complex and proper nutrition is very important. is it coffee, or the caffeine, that is the helpful thing? Caffeine, is part of it but coffee has many more beneficial nutrients including magnesium, vitamin B1, etc. I had my tonsils radiated in the early 60’s so now I have Hoshimoto’s tyhroiditis from radiation. Is coffee going to help this? I have had insomnia in the past so I gave up caffeine though I still drink decaf every day. If used properly, coffee can definitely help but keep in mind that alone it is not the solution. It’s just one tool in the toolbox so to speak. Insomnia has more to do with stress hormones than caffeine. I have been a coffee drinker for years. It is my favorite beverage! I drink a pot daily usually. I was diagnosed with HER2 Positive breast cancer & subsequently had a double mastectomy , chemo and radiation. I still love my coffee .. Sometimes I feel that it is the only way I can wake up. My son is being checked for his thyroid. His TSH was 5.49 so I could not get a referral from my PCM . They require double digits for referrals? I am going to self pay the endocrinologist for a more thorough checkup. Definitely check his temps and pulse because 5.49 TSH is still quite high. 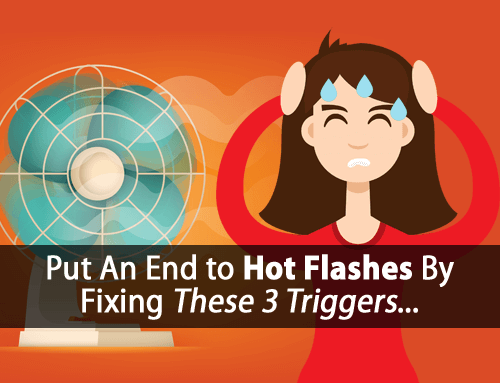 I’ve yet to see anyone with truly healthy thyroid function based on temps, pulse, and many other markers that was above 2. Thank you for the tip on coffee. I have low thyroid and I am under a doctor’s care. Also, I have previous material that I received from you regarding low thyroid and food. dear Tom, I’ve read your articles on thyroid help, but mine is simply beyond help I think. For 10 years I’ve had Hashimoto’s and take meds-also tried supplements, coconut oil and coffee, good nutrition, etc… I have never been able to get my TSH below 10-at times it has been 105 and most of the time it is around 50=I have no idea what to do and neither does my doctor. PS I did have silicone breast implants for 22 years and removed them 2 years ago-do you think residual silicone could cause this? That’s because you think that your nutrition is good but I would bet your nutrition is far removed from what is actually healthy. Most people who come to me are eating a diet that they’ve been led to believe is healthy but that is extremely thyroid suppressive. Supplements and drugs can’t overcome a poor diet. What are the possible negative effects of coffee and how much a day does one drink safely of decaf or regular. I usually drink ph. 7.7 alkaline water and the higher alkaline water with coffee and supplements or medicine. What do you think about it? The study mentioned did not address the positive/negative effects of coffee. That’s for a different blog post. However, the study did show that the more coffee you drink, the less your risk of death. It applies only to regular as the caffeine does play an important role. Coffee has many positive effects. But we should also remember that many people suffering from hypothyroidism have also problems with their adrenals. I was a heavy coffee drinker for years until I suddenly realized I couldn’t drink it anymore. Coffee made irritated and light-headed. It took me a long time to find out it was because my adrenals were exhausted (because of my hypothyroidism). Yes, this topic and the right way to drink coffee is discussed in my program but the study mentioned in this post did not account for how people took coffee. Keep in mind that adrenal fatigue is a very misunderstood topic which I do plan on writing about in the future. if the coffee is useful for the protection of hypothyoid, liver defunction and cencer. 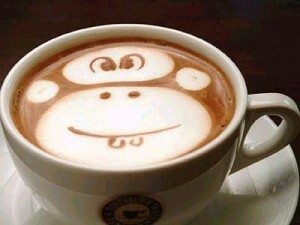 I want to know the mode of making and drinking process of coffee. Maybe I can write another future post regarding the proper way to take coffee because there is a “right” way and a “wrong” way. But the study mentioned here did not account for how the coffee was prepared. 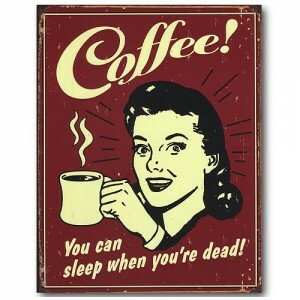 Is this true for decaf as well as ?Caffine makes my eyelid twitch. Hi Tom, I am beyond frustrated. My tsh was 3.89 dhea 265 my am cortisol was 8.7. I am fatiqued, hair thining and weigh the most i ever have at 59 years old. 186 lbs of which most was put on in the last 4 years. A wellness center gave me B12 and vit. d shot (vit. d was 20) and My brain worked beautifully for a couple of days and then I developed a face and neck major break out of acne. Horrible break out! I then started on armour and felt good the first 2 days then fatigue again. I went to my internist and she practically yelled at me about taking thyroid med. No one knows why i broke out and i am confused about needing thyroid med. Any advice would be greatly appreciated. Thank you Tom for your suggestion of drinking coffee to improve health. Awesome read…. i have went from being hyperthyroid for 13+ years to after RAI i am now a little hypothyroid i take .25 of levothyroid daily (with my morning cup of joe) and i drink 2 or 3 cups a day,but no soda. Coffee is my one and only (bad) habit and now i wont feel bad for it …. thanks !! I have avoided coffee for years and switched to decafe long time ago. . Too many jitters and my blood sugar would drop. But since I have been using balanced coffee suggested by Tom I have had no problems and I am hypothryoid. I just use a few ounces of coffee not a whole cup and 4 ounces of 2% milk with a tbl of gelatin and a little simple syrup. It is delicious! And I use the real stuff now. Thanks Tom. I am on my way to a healthier life, brain, and thyroid. But remember too much coffee is not the answer either!!!!! Is this coffe with ganoderma as healthy as regular coffe for the function of the thyroid.? Thank you Tom for all of your research and time. WE all appreciate you. Keep the emails coming. What else can we do!!!? What do you think of the “green coffee bean” in the news right now? People are using it for weight loss, but is it ok for us hypothyroidism sufferers? Hi Tom I would like to know more about coffee. How it is prepared. Turkish grind. When to have it and how much. Your guidance has been spot on for me and I would like to learn more. Is it o.k. to drink coffee if you have Graves disease? I cannot stand the taste of coffee. I have tried many times to find a way to tolerate it. I just can’t do it. Is there another way to get the nutrients included in coffee. A supplement, possibly? Does black tea have the same thyroid supporting effects as coffee? Wow I never knew this about coffee. Thanks for the info! I recently tried a sample of Tyler’s acid free decaf organic coffee. Great coffee and won’t hurt my stomach since I have both gut barrier and hashimoto thyroid disease. I will definetly keep this up. ORGANIC is very important here, especially when it comes to coffee! What kind of gelatin are you talking about, to put in coffee? Never heard about that..
Also what do you mean balanced coffee? Is that a particular blend/ company? Balanced coffee is in reference to a recipe that we use in our work with clients. Thank you , I had thyroid cancer, was removed and Rai twice, and 45 Radation treatments. Then in six years later had kidney cancer. I’m cancer free now.Have to see my doctor every three months to check my levels. My supplement company has a coffee that is organic, never touched by human hands, fairly traded, contains green tea extract, trace minerals, and coconut oil. I blend it with coconut oil and some cinnamon which makes it so creamy! I just read an article stating coffee (caffeine ) was bad for those with Hashimoto hypothiroidism because it aids in stressing the adrenals… which is right? Only when diet is poor and you can’t regulate your blood sugar. But the therapeutic benefits are numerous and longevity studies speak for themselves. was wondering if that is also the case that coffee is good for thyroid if you are on thyroid meds……. Yes, it has many actions very similar to thyroid hormone itself. Hi Tony, no it wouldn’t do the same thing. But there are many ways to mask the taste of coffee. I have Osto and heard it is bad for you bones, is that correct? The short answer is no, it is not bad for your bones. Some studies focused on postmenopausal women have shown potential problems when calcium intake was extremely low and vitamin D status was poor. These are both things we address and never advocate the user of coffee without adequate diet. I love coffee and drink it each day… I’m also severely hypothyroid with next to no thyroid function thanks to Hashimotos. I take T3 and T4. I have done so since the early 90s. Feel pretty good although regualr brain fog and some aches and pains. My Doctor told me t take the thyroxine AT LEAST one hour, preferably two before/after food, in particular, anything with MILK, as this will break down the effectiveness of the thyroxine. As I like a latte at breakfast, this was a revelation and thought that others might like this information. I realize this article is about coffee, but I have searched this site and have not found any information regarding green tea (or any tea). Can you tell me if teas are a good or bad idea for hypothyroid? Thank you so much for sharing all of your knowledge! I think I have finally found a place for solid advice that seems to truly be backed up by real research! Hi Tina, you have to be careful with green teas the caffeine does provide some benefit but the polyphenols inhibit the detoxification of estrogens allowing them to rise. Effects of tea polyphenols and flavonoids on liver microsomal glucuronidation of estradiol and estrone. This article makes more sense than to continue coffee is and suffer further underline problems? Which are facts? I miss my coffee so badly but I never saw any improvement with it as your article states…..very frustrating to say the least when there are so many different takes on this topic. Hey Tom, i had a question about the connection of coffee and estrogen? does coffee or caffeine produce estrogen? or reduce it? Hi Ali, coffee/caffeine helps increase progesterone, supports estrogen detoxification, and blocks estrogen receptors. It’s also very protective against breast cancer. Only time it causes problems is when liver glycogen is fully depleted by low-carb diets, fasting, etc. I have been hypothyroid since I was a teenager. Was tested through TSH but the dr.
said I was borderline and they would “keep an eye on it” but that never happened and as an adult I was diagnosed with Hashimoto Thyroiditis. Because I was heavier than my sisters, I was put on diets (every one you can imagine) and was very restricted to what I could eat. I was lease to believe that I was “pleasingly plump” because of what I was eating. Needless to say, three years ago I was diagnosed by my endo with non-alcholic fatty liver disease and insulin resistance. I was prescribed metformin which normalized my A1C. Several months ago I read a book written by Suzanne Sommers titled “TOX-SICK and learned about the benefits of coffee enemas. I was reluctant in the beginning but decided to try it. I have been doing this “colonics” for approximately eight or so months now. My most current blood work revealed that my liver enzymes are normalized and my A1C is also normal. I am losing weight and my thyroid panels are more consistent. That is amazing to hear! I am going to try the coffee enemas! Thanks for your testimony! Life is tough these days with Thyroids issues!!! Hi Tom, the last time I’d sent you an email of how exhausted I was feeling with my thyroid, like a walking dead, and when I drank coffee, it had boosted me overall with my health, but I was told that it’s not good for me, and to stop drinking it by several sources, in my health friends circle. I don’t want to go through life feeling like a yo yo, one day I am full of lifes energy and the next day I can’t even get out of bed. Please tell me how much coffee should I drink? and I am a Vegan, is it best to drink it black or with my organic cashew milk?. Hi Jacqueline, never drink coffee black or with milk alternatives. Both can suppress thyroid function. Coffee (when used properly) is very therapeutic for thyroid sufferers. Most who argue against using coffee are typically low-carb advocates or here it from low-carb advocates. Low carb diets deplete liver glycogen, which will often result in a negative reaction to coffee. They are purposefully creating dysfunction and over-activating their adrenal glands. Of course, adequate nutrition is always key.